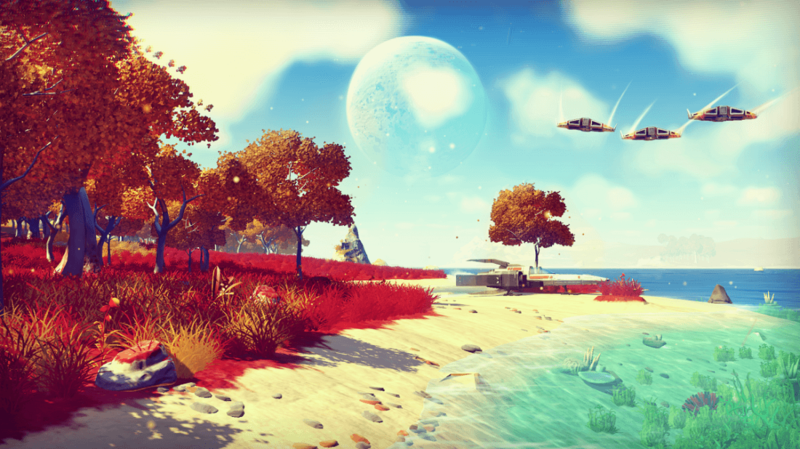 No Man’s Sky developer Hello Games said on Friday that it will soon be releasing an update to the troubled game that’s described as the first small step in a longer journey. In a brief post on its website, the developer said that immediately after the release of No Man’s Sky, they spent six weeks rolling out seven patches across both PlayStation 4 and PC (the last of which – v1.09 – went live on September 24). In the nearly nine weeks since then, the team has been hard at work on the development, testing and certification of what they’re calling the Foundation Update. As the name suggests, the update lays the foundations for base building and other things to come although Hello Games didn’t elaborate any further. The team also noted that despite its radio silence, they’ve been listening to the “intense and dramatic” discussion around No Man’s Sky since its release – both positive and negative – and are focusing on improving a game that the team loves and feels so passionately about. PC Gamer brings up a valid question in response to the news – is base building what players really want at this point? No Man's Sky is built around the idea of space exploration which means, you know, getting out there and exploring space, not settling down and building a colony on a single planet but I digress. The Foundation Update will be release this week, we’re told.